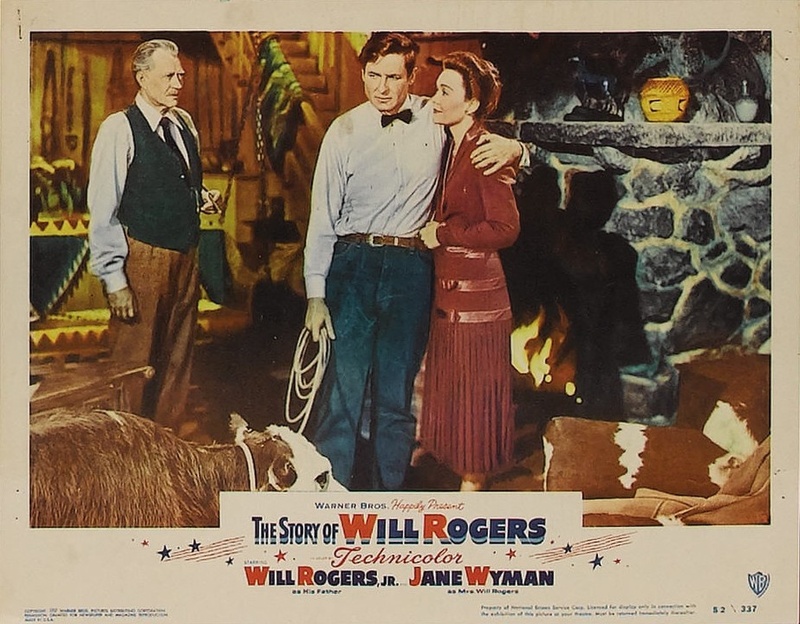 THE STORY OF WILL ROGERS, directed by Michael Curtiz in 1952, is a leisurely, pleasant and sincere slice of Americana-biography, with Will Rogers,Jr. making a nice go of it as his famed and beloved father: a humorist, performer and ex-cowboy who most people today will connect only with parks, beaches or schools that have been named after him. Publicity shot with Jack Warner. The script covers Rogers from his easygoing ranch life in Oklahoma (when it was still a territory), on through vaudeville and the Ziegfeld arena, to eventual status as a National Philosopher-Statesman-Comic. 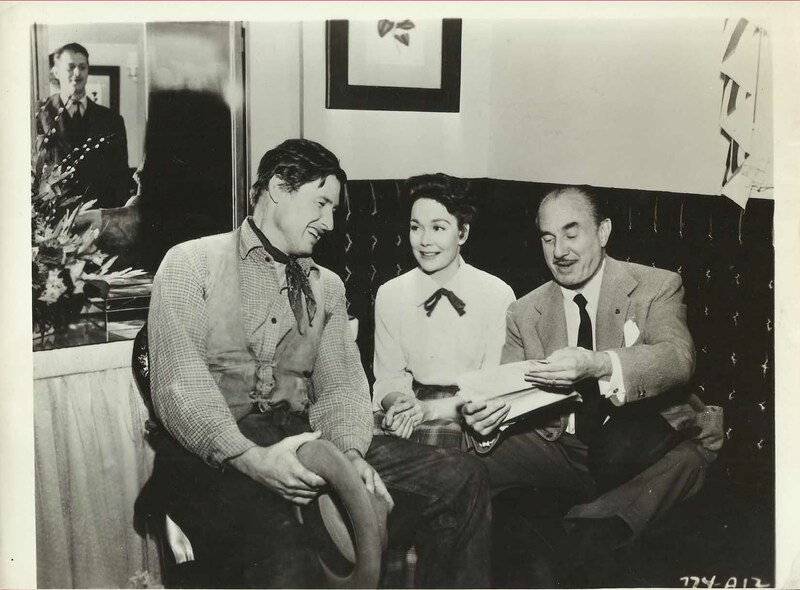 Amiable supporting work from Jane Wyman as his wife, Slim Pickens as a cowpal from the Panhandle, and Noah Beery Jr. as fated pilot Wiley Post. Those among you (however few, ever dwindling) who wish to hone perception of the former national makeup might find this entertaining for 109 minutes. With Carl Benton Reid, Eddie Cantor, James Gleason, Mary Wickes, Steve Brodie and Jay Silverheels. Little film made a decent $2,650,000 way back when.